Internationally acclaimed music artists RDB might just add another feather to their cap. If grapevine is to be believed then actor turned producer Aftab Shivdasani is very fond of the brothers and is keen on working with them again. Currently the actor is busy with his upcoming movie with Vikram Bhatt. Bhatt has signed Aftab for the sequel of his 2010 hit 1920 starring Adah Sharma and Rajneesh Duggal. The band fresh from the success with ‘Shera Di Kaum’, the promotional video for Speedy Singhs, have got their hands full with their own album, Worldwide, which is out early next year. 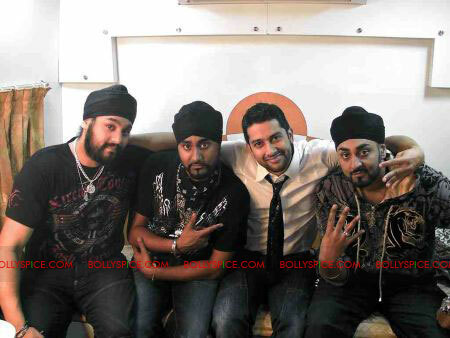 For the uninitiated, RDB is regarded as the most prolific music band to have emerged from the British Asian / Urban Music scene crossing to international stardom. The group has enjoyed stupendous success over the years with multimillionaire viewership, sell-out concerts and globally televised performances, stamping the fact that the RDB sound has struck a chord with music aficionados worldwide. The band has previously delivered hits like Singh is King (title track), ‘Rafta Rafta’ from Namastey London, ‘Om Mangalam’ from Kambakkht Ishq, among others. 17 queries in 0.640 seconds.